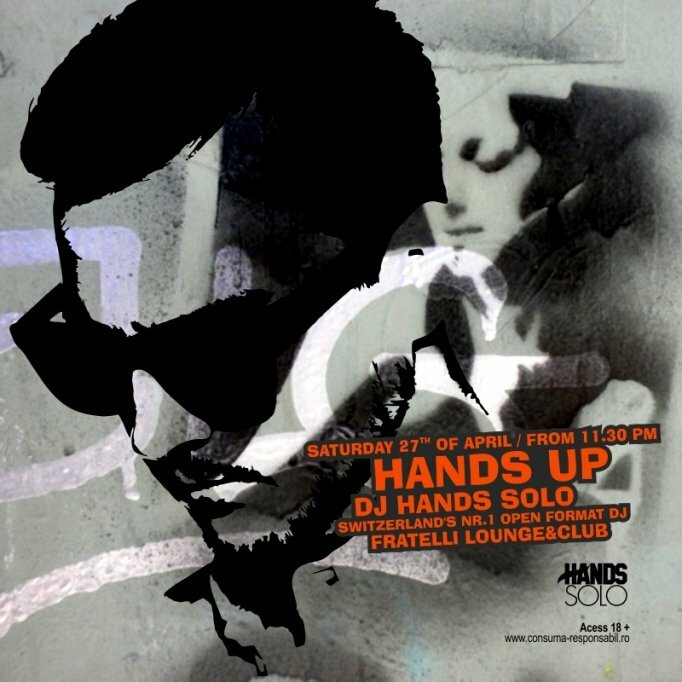 DJ Hands Solo, the winner of 2011&#8242;s Award for Best Open Format DJ in Fratelli Lounge &#038; Club! DJ Hands Solo, the winner of 2011′s Award for Best Open Format DJ in Fratelli Lounge & Club! Put your hands up for this Saturday’s enlightening event in Fratelli Lounge & Club! DJ Hands Solo, the winner of 2011′s Award for Best Open Format DJ, is coming for the first time in Timisoara! We are planning a perfect end of the week, as Hands Solo is a regular in the VIP hotspots of St. Moritz or in the hottest venues of New York and he’s toured Asia six times as Tokyo, Shanghai, Hong Kong, Singapore or Taipei enjoyed his music! Berlin, Barcelona, Vienna or Prague are just a few places where his European shows took him! Join us for this special night that we have all been waiting for! Let’s spend it together in the Lounge & Club Timisoara on Saturday, after 11.30pm!! For reservations, please contact: officetimisoara@fratelli.ro/ 0722.122.123 Fratelli reserves the right to select its clients, due to the capacity of the locations and the reservation list.